YOU CANNOT GET VISION IN THE SCRIPTURES WITHOUT THE HELP OF THE HOLY SPIRIT. No one can get a vision from the scriptures(word of GOD) without the help of the Holy Spirit. The word of GOD is the Spirit of GOD in a written form, so you can never access vision by studying the scriptures with your brains, the way you study other books. 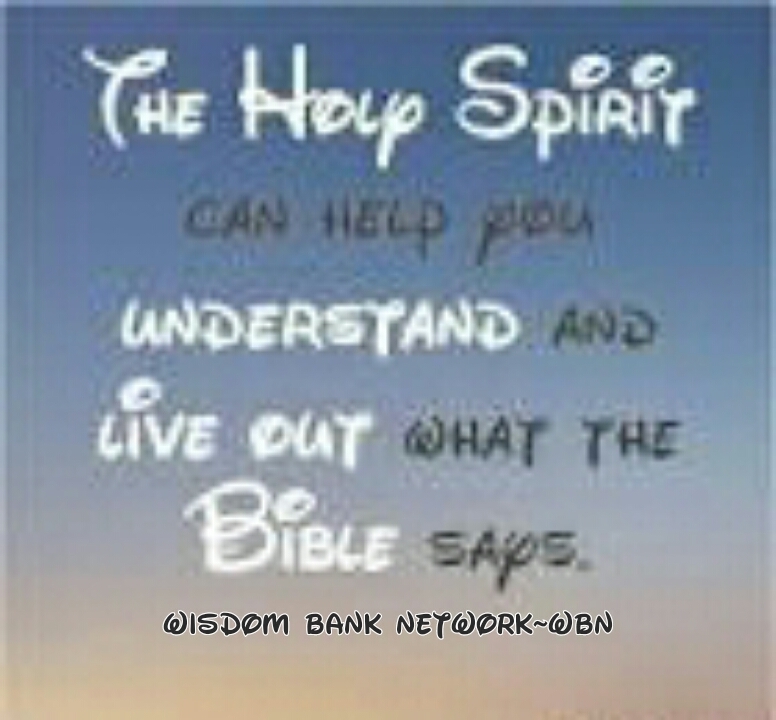 It is the Holy Spirit that can enhance your understanding of the scriptures. JESUS CHRIST knew this, that was why HE said; “when the Holy Spirit is come, He will teach you~John14:26. This means, if you do not have the Holy Spirit at work in you, you can never get a vision from the word of GOD, neither can you get vision any other means. Therefore, I advise you to open up to the Holy Spirit today. WHENEVER YOU WANT TO STUDY THE SCRIPTURES, ASK THE HOLY SPIRIT TO REVEAL WHAT THE SPIRIT OF GOD IS SAYING IN THE SCRIPTURES, AND HE WILL…BE WISE…!! !